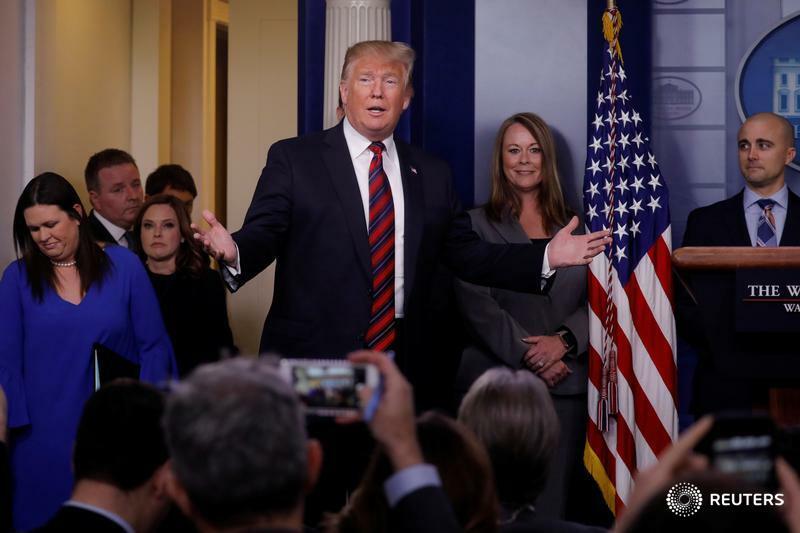 WASHINGTON (Reuters) — U.S. job growth likely picked up in December with wages expected to have increased solidly, which could help to allay a recent upsurge in fears about the economy's health that have roiled financial markets. The Labor Department will publish its closely watched monthly employment report on Friday on the heels of surveys showing sharp declines in consumer confidence and manufacturing activity last month. Both were seen as more red flags that the economic expansion, now in its ninth year and the second longest on record, is losing steam. Non-farm payrolls probably increased by 177,000 jobs last month, according to a Reuters survey of economists, after rising 155,000 in November. Slow job gains in November were largely blamed on unseasonably chilly temperatures, which stymied hiring at construction sites. "This will be good news for otherwise depressed sentiment in the financial markets," said Sung Won Sohn, chief economist at SS Economics in Los Angeles. "There is growing concern that the economy will slowdown significantly 2019." Barring a big miss relative to estimates or major revisions to prior months' data, the December jobs gain is likely to push total U.S. employment above 150 million jobs for the first time. Average hourly earnings are seen rising 0.3 per cent in December after gaining 0.2 per cent in November. The annual increase in wages will, however, probably dip to 3.0 per cent from 3.1 per cent in November as the big increase in December 2017 drops out of the calculation. The unemployment rate is forecast steady at near a 49-year low of 3.7 per cent for a fourth straight month. The December report will include annual revisions to household survey data from which the unemployment rate is calculated, going back five years. The Labor Department has not been affected by the partial shutdown of the U.S. government and will continue to publish economic data complied by its statistics agency, the Bureau of Labor Statistics. Data releases from Census Bureau and Bureau of Economic Analysis have been suspended during the shutdown, which started on Dec. 22 amid demands by President Donald Trump for $5 billion (all figures U.S.) in border wall funding. A strong employment report could well keep the Federal Reserve on course to continue raising interest rate this year, deepening its rift with Wall Street and Trump, who has chastised the Fed and its chairman, Jerome Powell, repeatedly for its rate increases. Powell is due to appear on a panel with his two predecessors about two hours after the report's release. The U.S. central bank raised interest rates four times in 2018. The Fed last month forecast two rate hikes this year and signaled its tightening cycle is nearing an end in the face of financial market volatility and slowing global growth. U.S. financial markets are projecting no rate hikes in 2019. In the latest signal that investors see little room for the Fed to lift rates any further, yields on two-year U.S. Treasury notes on Thursday dropped below the Fed's policy rate for the first time in more than a decade. Against the backdrop of slowing growth in China, an ebb in consumer confidence, continued weakness in the housing market as well as cooling manufacturing activity, a soft employment report would exacerbate investor concerns about the economy's health. Citigroup's measure of how key economic indicators are faring versus economists' forecasts is at its most negative in 16 months. The S&P 500 suffered its worst December since the Great Depression and tumbled on Thursday after Apple slashed its holiday-quarter revenue forecast saying sales in China slowed more than expected. "Markets will probably be miserable no matter what the outcome," said Dan North, chief economist at Euler Hermes North America in Baltimore. "Too hot means fears of Fed tightening, too cool means fears of recession." Growth forecasts for the fourth quarter are around a 2.6 per cent annualized rate, with risks tilted to the downside amid fading stimulus from the Trump administration's $1.5 trillion tax cut package, a trade war with China and policy uncertainty in Washington. The economy grew at a 3.4 per cent pace in the third quarter. It needs to create roughly 100,000 jobs per month to keep up with growth in the working-age population. With the labour market viewed as at or beyond full employment, job growth is expected to slow this year as workers become more scarce. Anecdotal evidence has been growing of companies experiencing difficulties finding workers, and raising wages to retain and attract employees. There are concerns that tightening financial market conditions because of the steep stock market sell-off could hurt hiring. The government shutdown, if it extends beyond next week, could weigh on January payrolls. "We remain constructive on the U.S. labour market at the start of 2019," said Sam Bullard, a senior economist at Wells Fargo Securities in Charlotte, N.C. "That said, some crosswinds are beginning to brew, and the labor market needs to be carefully monitored over the coming months." Hiring last month was likely across all sectors. A strong holiday shopping season is expected to have boosted retail employment while transportation and warehousing payrolls probably rose, driven by seasonal hiring. Employment at construction sites is expected to have rebounded after companies hired the fewest workers in eight months in November. Manufacturing payrolls are forecast to have increased by 20,000 jobs in December, but could surprise on the downside after a measure of factory employment fell last month.